The beautiful Akerselva River runs from Maridalsvannet through the center of Oslo, and into the Oslo Fjord. The trail, which can be shortened or lengthened depending on your preference, starts at Vanterland Park. Vanterland is located on a flat area bordered by Brugada. Possibly most intriguing about the park is the statue of Icelandic feminist pioneer, Olafia Johannesdottir. Johannesdottir, which was erected in 2004. 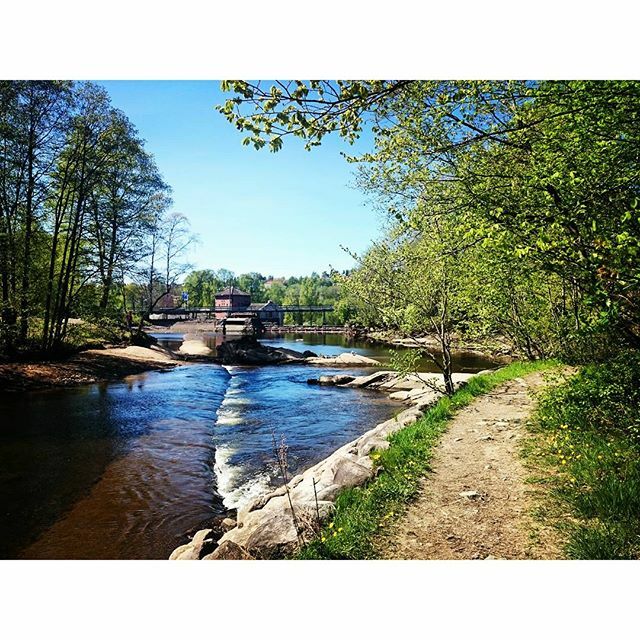 Offering serene forests, industrial history, fishing, swimming, and several magnificent waterfalls, the Akerselva River Trail is good for all skill levels. Also attracting walkers, bikers, and “child-strollers,” the lower parts of the trail are paved, while the uppermost part is gravel. I have been exploring for a little for any high quality articles or blog posts on this sort of area . Exploring in Yahoo I at last stumbled upon this site. Reading this information So i am happy to convey that I have an incredibly good uncanny feeling I discovered exactly what I needed. I most certainly will make certain to don’t forget this site and give it a glance on a constant basis. After I originally commented I clicked the -Notify me when new comments are added- checkbox and now each time a remark is added I get 4 emails with the same comment. Is there any manner you possibly can remove me from that service? Thanks! Just about all of the things you mention is supprisingly legitimate and that makes me wonder the reason why I had not looked at this in this light previously. Your piece truly did switch the light on for me as far as this specific issue goes. Nonetheless there is actually one position I am not really too comfortable with so whilst I make an effort to reconcile that with the actual core idea of your point, let me observe what the rest of the visitors have to say.Very well done. Hi! I just would like to offer you a big thumbs up for your great info you’ve got here on this post.